A magazine that explores the world one trip at a time. In this Winter 2018 issue, our writers share their favourite cities and towns from around the world. 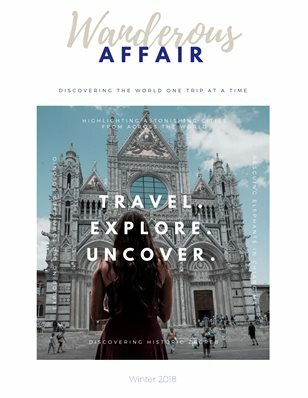 This could be anything from rescuing elephants while visiting beautiful Chiang Mai, to immersing oneself in locations found in Zagreb's historical literature, to wandering the sandy streets of Cabo Polonio, and tonnes of other amazing destinations that will leave you excited to book your next trip.